The government is currently investing in many programs to boost the country’s economy, such as the Eastern Economic Corridor (EEC), to attract more foreign investment, but we should not ignore the importance of human resources development in order to avoid major stumbling blocks that could delay the process. Before making their decisions to invest in the EEC, investors inquire about the feasibility of their projects, or their sustainability in the long run. They also base their decisions on the availability of human resources to make their projects work. The 10 target industries that the government aims to promote will require not just “skilled labor”, but also “knowledgeable labor”. They will need people who are well-rounded, specialized, eager for self-improvement and adept with advanced technologies. Take for example a factory with thousands of skilled workers. Sooner or later, they will be replaced by robots that can perform most of their tasks. People will have no choice but to improve themselves to become the operators of these new technologies. We should not wait for this to happen. We must focus now on developing our country’s human resources, so that people are ready to take on challenging jobs that will be required in the near future. Human resources development should start at a very early age. Children should be encouraged to use their imagination and to be creative. They should be trained to analyze and look for solutions, and ask questions when they don’t know the answers. All of these can be taught and applied, starting at home, then at the workplace, and eventually to the whole country. To prepare for “Thais 4.0”, we may have to start by reshaping the Thai attitude that tends to first see obstacles and limitations. This mindset is not in the Thai DNA, but rather, it stems from our cultural mentality of clinging on to certain ideas and beliefs, and not mustering up the courage to initiate change. At a time when we are promoting “Thais 4.0” to keep up with new technological developments, we may have to resort to shortcuts, like bringing in experts to help train Thai staff and pass on their know-how. The government has eased some restrictions and is offering numerous incentives and privileges to attract these experts. However, the development of our human resources should also be accompanied by a comprehensive plan for “Thais 4.0”. As a “shortcut” towards rapid development, the public sector or government organizations should not be solely responsible. The private sector can also help, as we have seen from successful examples. Another important issue is employee recruitment. The challenge consists of matching the right person with the right job to answer the needs of the labor market. The public sector or government agencies can use Artificial Intelligence (AI) and Big Data to screen labor market data. This could be a good solution to facilitate human resources planning and meet the needs of the industrial sector. Over the years, WHA Group has initiated and participated in several industrial labor activities. In collaboration with the Ministry of Labour, the company launched the Hemaraj Industrial Skill Cooperation Academy (HISCA) to generate a more qualified workforce. In addition, WHA Group has propelled potential clients in the automotive industry to become aerospace suppliers in the future. for students to answer the constantly increasing demand of the private sector for skilled workers. For the past eight years, this program has been ongoing in collaboration with Bankhai Technical College in Rayong, Sattahip Technical College in Chonburi and 30 companies from WHA industrial estates. WHA Group supports the “Vocational College in EEC Program” initiated by the Thai government to help graduating students find on-the-job training opportunities. Known as the “Sattahip Model”, this program has been adapted by Sattahip Vocational College in collaboration with the industrial sector, while the government is introducing it as a guideline for workforce development in response to the demand of investors. As WHA Group recognizes the importance of this program to Thailand’s industry, the company has jointly supported and has convinced clients in 8 industrial estates to join the program. This will enable vocational students to get first-hand experience so they can apply what they learn into the industrial work environment. Additionally, this would equip the students with the necessary skills in line with demand of companies. 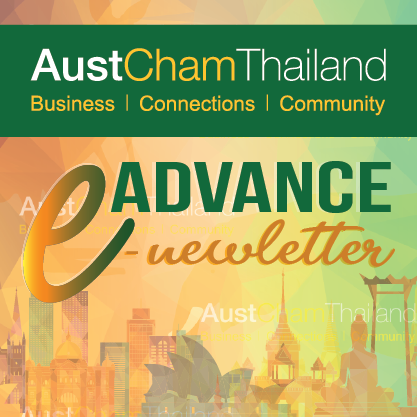 WHA Group is proud to be part of this program, and looks forward to seeing its fruitful results spread into the EEC community, in order to help Thailand retain its position as the industrial leader of the region. Ms. Jareeporn Jarukornsakul is Chairman of the Board of Directors and Group Chief Executive Officer of WHA Corporation PCL. Her rich experience in Thailand’s logistics and industrial sectors has put her in a number of strategic positions over the years. Jareeporn holds a Bachelor’s Degree in Public Health from Mahidol University, and a Master’s Degree in Business Administration from Bangkok University. In 2016, she received an honorary Ph.D. in Logistics and Supply Chain Management from the Christian University of Thailand. She was given the ‘Quality Person of the Year Award’ in the Real Estate Business Development category, by the Foundation of Science and Technology Council of Thailand, and was named “Woman Entrepreneur of the Year” at the Asia Pacific Entrepreneurship Awards 2016, given by Enterprise Asia, the region’s foremost association and think-tank for entrepreneurship. WHA Group’s operations consist of 4 major hubs – Logistics, Industrial Development, Utilities & Power and Digital Platform – enabling the company to provide customers with turnkey solutions. Under Jareeporn’s leadership, WHA has mapped out a business strategy to make it the most desirable location for companies that would like to start or expand their business not just in Thailand, but also in the Southeast Asia region. The group has started the development of its first industrial zone in Nghe An Province, Vietnam, as well as a foothold in Indonesia’s logistics business. Next [April 2018] AI is Coming to the World of Recruitment: Should We be Worried?